Sexual harassment is defined as unwanted conduct of a sexual nature which has the purpose or effect of violating someone’s dignity, or creating an intimidating, hostile, degrading, humiliating or offensive environment for them. Put simply, Sexual harassment is against the law under the Equal Opportunity Act 2010. While many organisations have a zero-tolerance approach to sexual harassment and strict policies in place, the number of people that are subject to sexual harassment on a daily basis is still too high. In fact, a 2016 report by the Trades Union Congress (TUC) indicates that more than half of all women have experienced some sort of sexual harassment and that 4 out of 5 women did not report sexual harassment to their employer. In recent years cases of sexual harassment in the workplace are becoming more prevalent with more people sharing their stories openly. 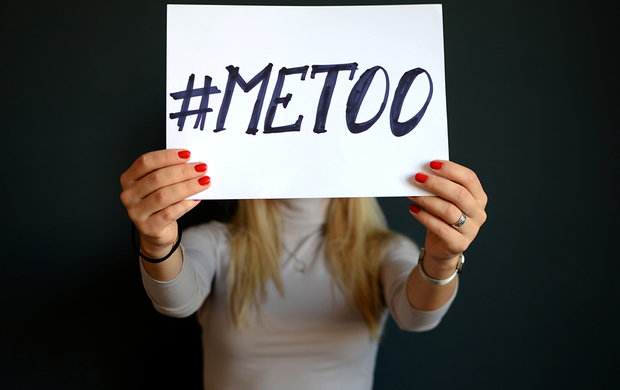 Increased media coverage and social media campaigns such as #MeToo have further highlighted the need for action. Who is Responsible for Ending Sexual Harassment? It is not the responsibility of the victims, or those most commonly targeted, to end sexual harassment, it is the responsibility of everyone. It’s up to everyone to check the unconscious bias that leads to the discriminations. Only then can we understand why sexual harassment occurs so frequently and put an end to it once and for all. How Can We Tackle Sexual Harassment? Sexual harassment training shouldn't just be a box ticking exercise. Addressing a legal obligation doesn’t fix the issues that affect so many people - it doesn’t fix the underlying causes of sexual harassment: non-inclusive cultures and unconscious bias. Sexual Harassment training needs to be both legally compliant and actually work. We need training in place that empowers employees to not only report their own experiences of sexual harassment but for all employees to speak up about exclusions and harassment that they witness. We need to provide training to everyone to create an awareness, an understanding and to provide the opportunity to tackle non-inclusive cultures, unconscious bias and ultimately, sexual harassment. Regular sexual harassment training helps with the reinforcement of the expectations placed upon employees not to exhibit unacceptable behaviours, whilst understanding the impact of their behaviour on others. A rounded approach to tackling bullying, banter, respect and unconscious bias can help to tackle the underlying issues of any workplace and provide an entire workforce with the knowledge and tools to change their attitudes and behaviours. Get in touch on 0121 222 5599 to arrange a FREE Preview of the BRAND NEW 'Understanding and confronting sexual harassment at Work.' Available as an eLearning, Short Film and Micro course. Produced by Skill Boosters in association with Helen Mott.